Located right on the shores of Lake Nzerakera, Selous Safari Camp is the ideal base from which to explore the Selous Game Reserve. 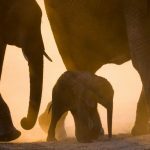 As one of the last great wilderness areas on the continent, it has the highest concentration of African wildlife, countless birdlife and is home to over a million large animals and half of Tanzania’s elephant population. Whilst Jongomero, the only camp situated in the remote central south-western sector of the Ruaha National Park, promises unmatched privacy. After the safari adventure, Ras Kutani, an exclusive retreat on the shores of the Indian Ocean, offers a true castaway experience with long stretches of unspoilt white-sand beaches and lagoon forests to explore. 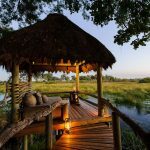 Africa Odyssey is offering a nine-night safari and beach package staying at Selous Safari Camp, Jongomero Camp and the beach retreat of Ras Kutani from $6,500 per person (saving $1,800 per person) for travel between January 1 and March 15 2012 or from $7,770 per person (saving $800 per person) for travel between June 1 and October 31 2012. 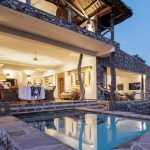 The price includes international flights from New York, internal transfers, three nights at both safari camps with game viewing drives, concession and park entrance fees and three nights at Ras Kutani, all on a full-board basis.